ZTE has been in a bad place recently, but it seems that they’re finally getting out of the hole that they’ve dug themselves into. This comes after the company already paid $1 billion of their fine to the U.S. as an act of goodwill in the hopes of lifting a ban on selling phones in the country. The $1 billion paid is on top of an additional $900 million the company paid last year. Not only that, but this was also in conjunction with putting $400 million into escrow and firing the entire board and appointing a new chairman. 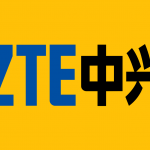 Now, according to a report from Reuters, ZTE may finally be back – for real this time. ZTE’s future has remained at a crossroads for the last few months, with the company feeling the brunt of $3 billion in total losses. Not only does ZTE face having to rebuild its reputation again with a new board behind it, but the company still remains questionable in terms of US national security. While it appeared that the ban was going to be reinstated, ZTE representatives spoke to officials at the Department of Commerce on Monday. A number of U.S. lawmakers are said to be pushing for the reinstating of the ZTE ban in full and are working to prevent the company’s return. From Wednesday, negotiations are taking place which will attempt to balance national security concerns with concerns for the company. Once the $400 million is paid into escrow, the US plans to lift the ban. This would mean that, in theory, ZTE can return to normal production immediately. Of course, there are a number of concerns and other logistical problems which will hinder its return to full form. For example, the company’s shares have been frozen for two months and have lost about half of their current value. ZTE is currently operating on a temporary waiver which expires on August 1st, issued by the Department of Commerce. If ZTE is well and truly back, we may see the Axon 9 in the near future.